Monitoring the leaders in the autonomous vehicle race is a never-ending process. Like an actual sporting contest, there are favorites and underdogs, and plenty of movement in and out of both camps. The Google spinoff Waymo is unquestionably in the favorites category. This year, Waymo will become the first company to test driverless cars on public roads without a human attendant, and the first company to launch a ride-hailing service featuring autonomous vehicles exclusively. If Waymo is 1, then GM’s autonomous division Cruise Automation is 1-A, with 100 driverless cars many self-driving cars operating in the hectic streets of San Francisco, and more coming soon to New York City. There is a tendency to think of companies such as Waymo, GM and other leaders in the space — Uber and Tesla — as singular entities. But the reality is that these are multi-faceted organizations with lots of employees. And as the market for driverless cars has heated up, many of those employees have left big companies to launch their own startups. While these startups may be smaller in size, they still have huge ambitions. That is certainly the case with Aurora. 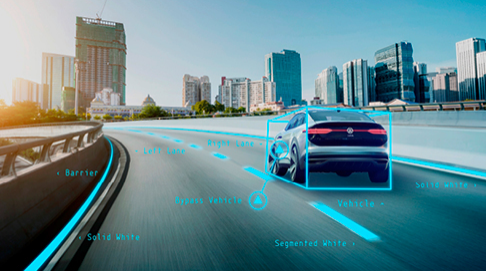 The Palo Alto outfit has an impressive trio of co-founders, including former Tesla Autopilot leader Sterling Anderson, former head of Google self-driving Chris Urmson, and former Uber AV engineer Drew Bagnell. Up until the start of the year, Aurora had been operating mostly in stealth mode, but the company kicked off 2018 with a major announcement that it was working with both Hyundai and Volkswagen to power the automakers’ impending autonomous vehicle projects. With a sparse website (motto: “We do self-driving cars”) that displays a long list of job openings in Palo Alto, San Francisco and Pittsburgh, Aurora isn’t exactly shouting from the rooftops about its driverless system. Volkswagen’s announcement of its partnership with the company, though, provides an idea of what the AV veterans Anderson, Urmson and Bagnell have up their sleeves. Volkswagen plans to leverage Aurora’s technology to build upon its Sedric concept. First unveiled in March of 2017, Sedric will represent a “family” of fully autonomous vehicles of various purposes. While Aurora’s work with Volkswagen reportedly has been ongoing for about a year, the company’s engagement with Hyundai is a more recent development. Hyundai says its goal in working with Aurora is to have Level 4 autonomous vehicles on the road by 2021. At Level 4 autonomy, a driverless system is expected to complete the entirety of most standard drives on its own. The question that remains is how close is Aurora to catching its founders’ former employers. The Volkswagen and Hyundai news is certainly encouraging. In the future it may not be necessary, or even desirable, for every automaker to have its own autonomous vehicle platform. So collaborating with a third party that provides off-the-shelf solutions like Aurora makes a lot of sense. Volkswagen, for one, seems to see this as just the beginning of an ongoing and fruitful relationship.